Lync provides service to rider with special needs. Lync assists members of the community to connect with the appropriate vehicle and drivers. Lync’s can be tailored to any walk of life; persons with disabilities, seniors, and ambulatory customers alike. 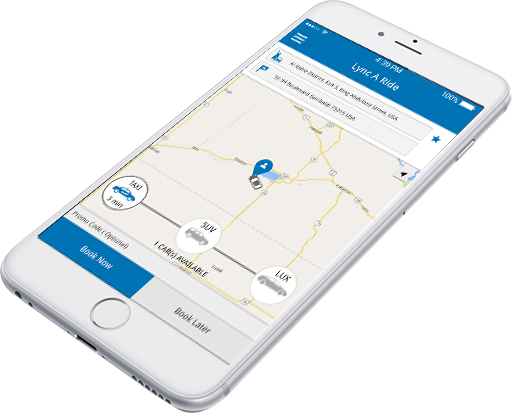 Lync has connectivity to wheelchair accessible vehicles and sedans for pre-arranged service directly through our mobile App at the touch of a button. Our priority is the safety and well-being of our client’s. Lync host a driver training program with specific emphasis on customer empathy and sensitivity training. Drivers are enrolled in a Live Scan program which is an extensive background check and are consistently monitored day to day in the event of any changes. For complaints or concerns please Contact Customer services at 1-800-963-7660, or email us support@lyncaride.com, we will contact you shortly. ©2016 Lync. All Rights reserved. Lync a ready-made taxi booking dispatch system for existing taxi companies or start ups. Perform online, real time taxi booking over mobile.